Schluter Rondec 3/8 in. x 8 ft. 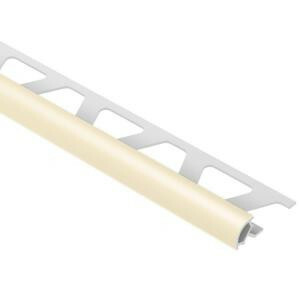 Sand Pebble PVC Rounded-Edge Protection Profile. Replaces a bull nose tile. Many colors to choose from.